Ray Bradbury photographed here at the 5th anniversary celebration of the Mars Rovers in NASA JPL in 2009 (Credits: NASA). On Tuesday June 5, the last of the three godfathers of 20th century science fiction passed away. After Isaac Asimov and Arthur C. Clark, Ray Bradbury at the incredible age of 91 years embarked on his journey to….. Wait! Where did he actually go? 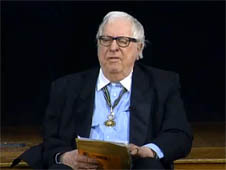 Throughout his career through the fictional characters he created, Ray Bradbury frequently meditated on death and immortality. Describing his childhood on his website raybradbury.com in December 2001 he revealed that it was an encounter with a carnival magician who encouraged him to aspire to “Live forever” that motivated him to become a visionary artist. Writing, pushing the barriers of imagination and contemplating the mysteries of the Universe became the way Bradbury aimed to achieve his immortality. Being a true believer in planetary colonization, Bradbury considered space exploration the only way humankind as a species can aspire to become immortal and avoid eventual extinction due to a natural disaster on Earth. Ray Bradbury’s 1950 classic The Martian Chronicles have inspired three generations of scientists and artists. Published years before the first break through successes of space exploration, the novel proves that Bradbury was a visionary who managed to live to see his prophecies coming to life. 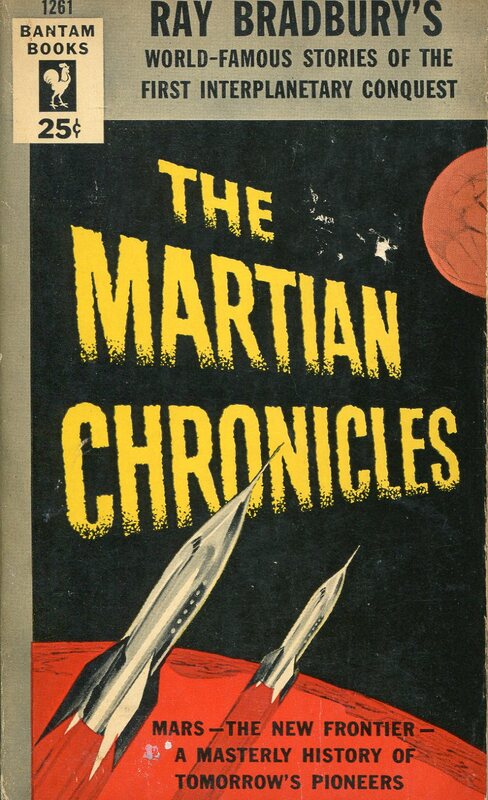 His legendary novel The Martian Chronicles was published years before the first breakthrough successes in human spaceflight took place, making Bradbury a true visionary who lived to see his prophecies slowly coming true. Already three generations of scientists and writers praise him as a true inspiration and influence on their respective careers. Peter Smith, a planetary scientist from the University of Arizona evaluated Bradbury’s impact on his own life: “He drove my imagination, already well developed, into new realms. I imagined that if we could ever get to Mars we would evolve to become the new Martians.” And the accolades keep pouring in from all around the globe. Bradbury witnessed many unmanned spacecraft traveling to or even touching down on Mars during his lifetime. In the last years of his life he was obviously aware that he would not be allowed to see the first manned mission towards his promised planet. But he seemed more than at peace with that. In an interview with a daily astronomy podcast “365 Days of Astronomy” in 2009, Bradbury revealed that he wished to become the first person to be buried on the Red Planet. “I want to arrive in a Campbell’s soup can. Bury me on Mars in the thing called the Bradbury Abyss,” he said. “They gotta name a place on Mars for me, and I will welcome that.” Well, it seems like the right way to honor his memory.